On Saturday, May the 5th, or Cinco de Mayo (if you prefer), at the T-Mobile Arena two renowned boxing legends will battle it out once again for the unified WBA (Super), WBC, IBF, IBO, Ring Magazine, and lineal middleweight championship boxing title in Las Vegas, Nevada. The fight, which is scheduled for 12 rounds, is going to be the second time that the two boxers have faced one another across the ring. They last fought for the title at the T-Mobile Arena on September 16, 2017. That fight ended in a draw, with judge Dave Moretti scoring the fight 115–113 for Golovkin, judge Adalaide Byrd scoring it 118–110 for Álvarez, and judge Don Trella scoring it 114–114 with the decision going to Gennady Golovkin who retained the title. Tickets are on sale now at StubHub.com and start at $795. There are 7 ringside floor seats still available in section A at this time which are selling for between $13,500 for the 3 remaining seats in Row E, $16,000 for the two seats in Row D, and $20,000 for the two seats remaining in Row B. These tickets are sure to be in high demand so persons wishing to see the fight up close and personal are urged to make their reservations now through StubHub.com before they are all gone. Suites, boxes, and tables are also available. 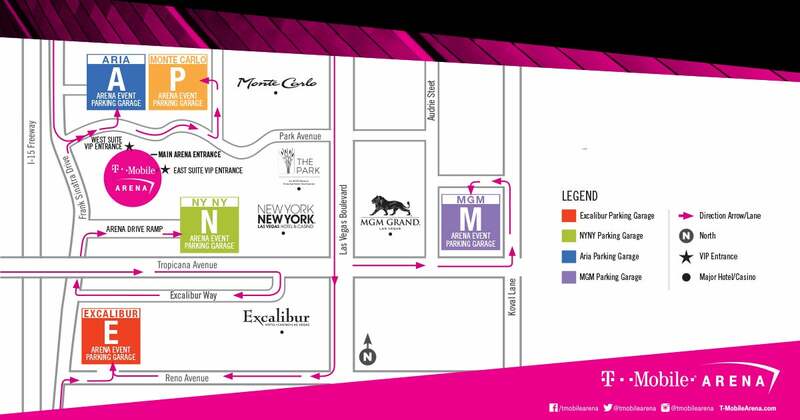 Reserved parking is available at the New York-New York, the Monte Carlo, and the Aria event parking garage starting at $10. Additional service fees may apply. The price will increase on the day of the event. For more information, including maps, directions and to purchase passes, please click here. Doors will open at 2:00 pm sharp.